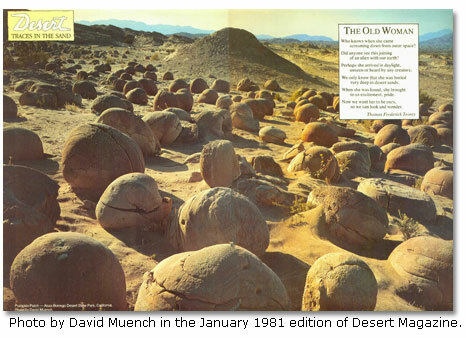 Desert Magazine first published an article about the Pumpkin Patch in 1970, showing a black and white picture of its concretions. After seeing this wonderful photo by David Muench in the January 1981 edition of Desert Magazine it became a major attraction for the area. 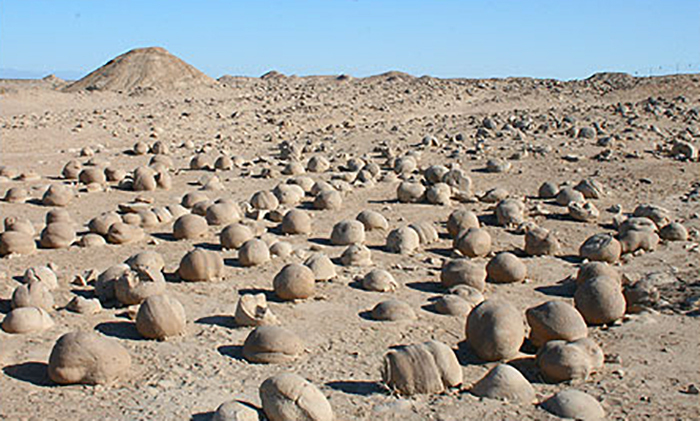 This unique landscape is the result of wind and water continuously eroding the surface soil and revealing globular sandstone concretions that look much like pumpkins in size and shape. 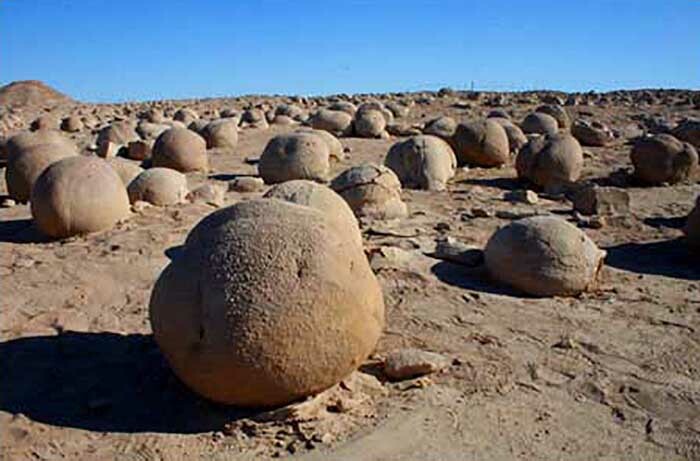 Such concretions are believed to be formed by the natural cementing of sand particles to a small object such as a piece of shell, a grain of sand or even an insect. 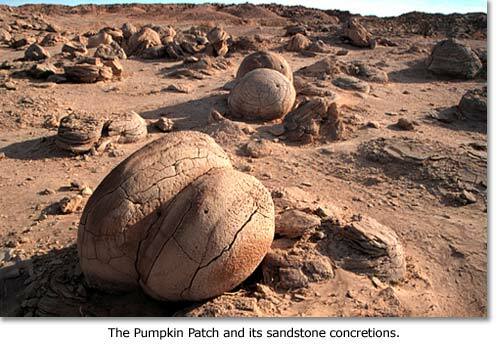 Help preserve the Pumpkin Patch and the nearby ridges where new pumpkin-size concretions grow. Click here to view a video of Ocotillo Wells and the Pumpkin Patch.